Beach Bag for Merriment Mini Fairy Gardening. 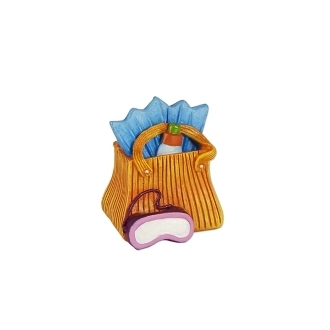 Full Description: This mini beach bag has all the essentials for a day on the water - sun lotion, goggles, and flippers! Beach Bag with Flippers is underwater safe, features all-weather paint, and is made of resin.